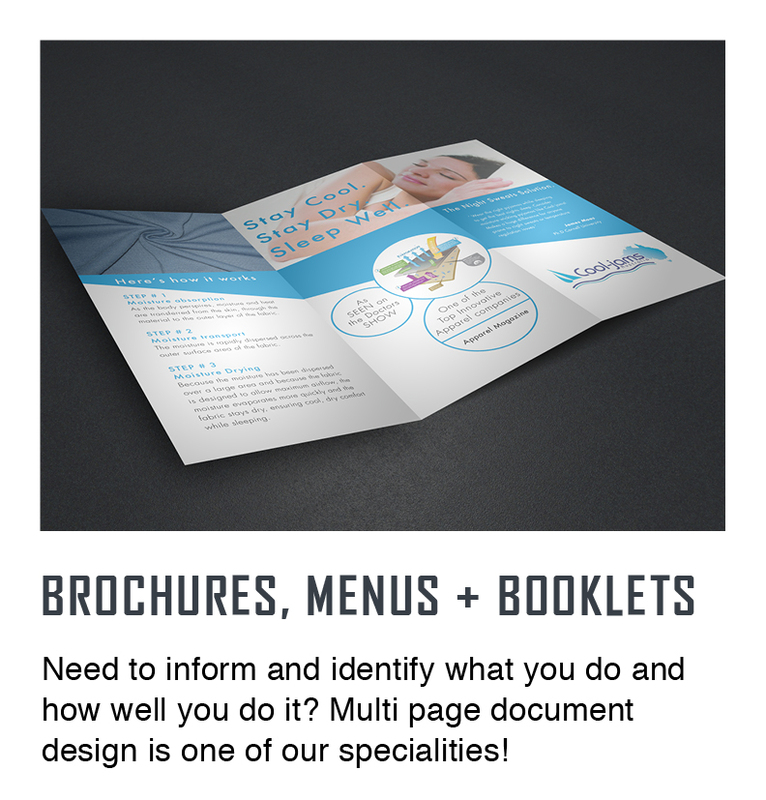 Our Graphic Design team can help you and your business, from idea to end product, make a strong and valuable first impression. 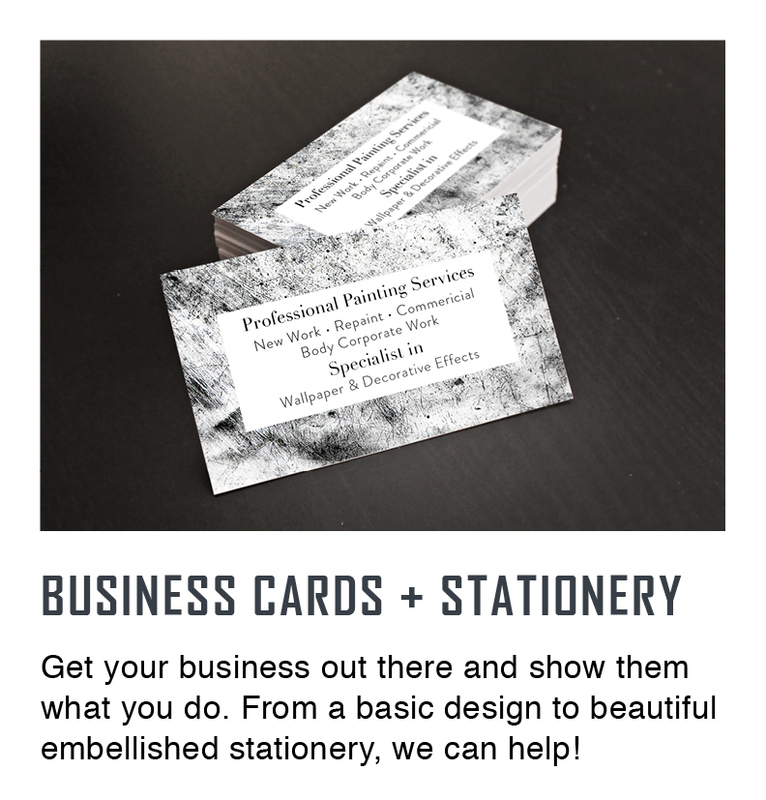 Whether it's a basic business card, a branding package or you have a menu, logo or website to spruce up we can offer the full service, or join in on your project to share the load and help bring your concepts to life. 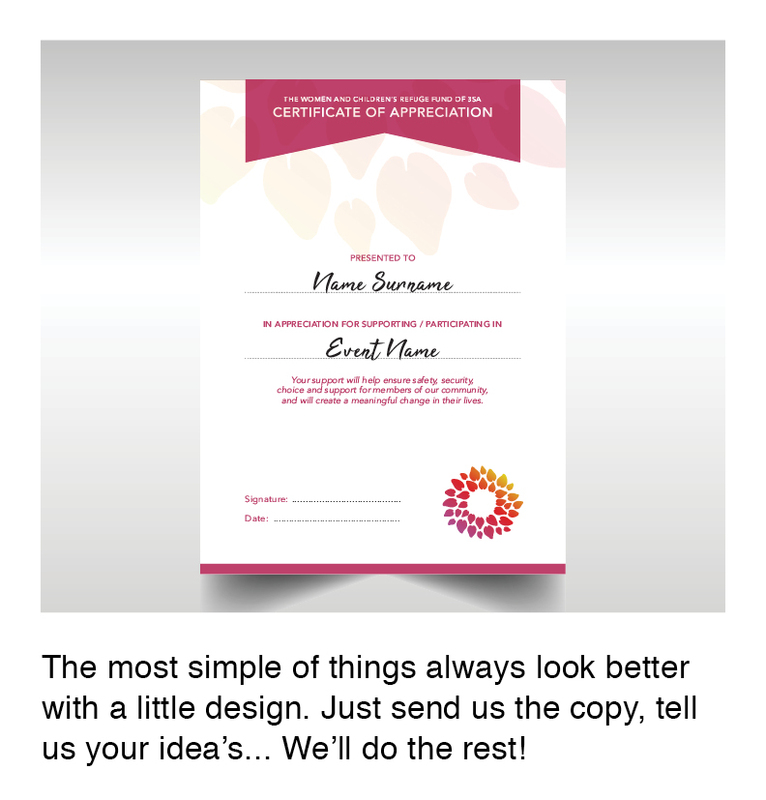 See Below for more details or get in touch to discuss your design needs. 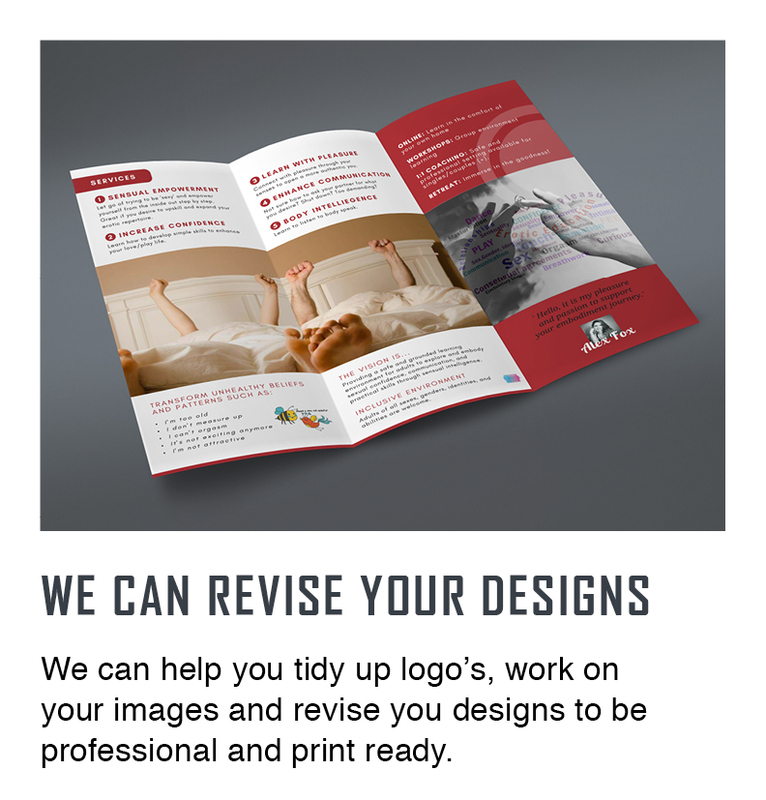 From ideation to concept, through to beautifully presented marketing material and documents, we can work with you to create a full package for your business - design, print and installation if needs be. 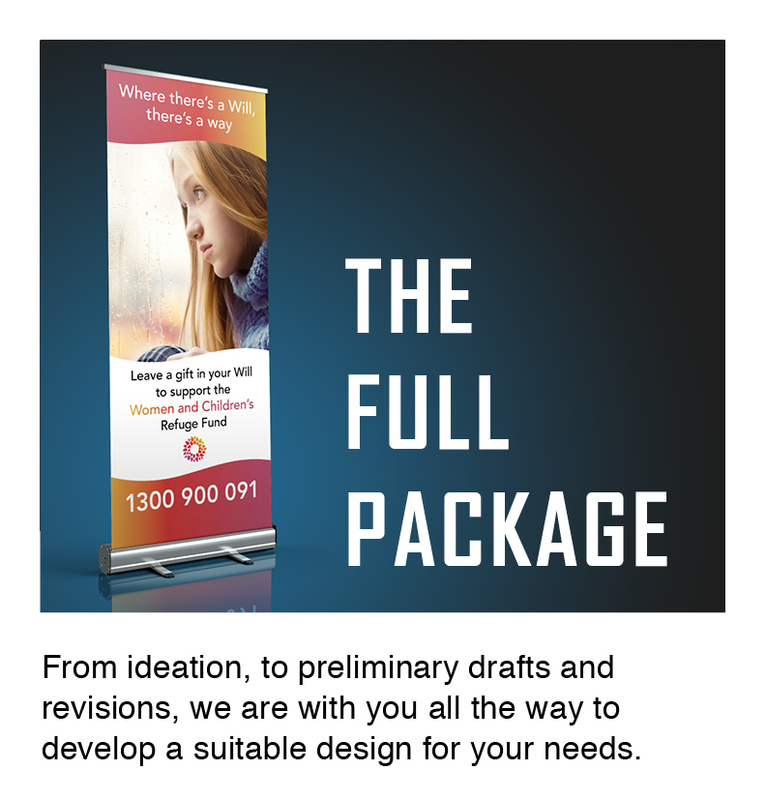 Our recent work with Third Sector Australia is a good example of providing a full design service to a business with a strong direction and numerous projects on the go. In this case, 3SA supplied the content for us to present it professionally and stay consistent with the identity of 3SA across a bunch of mediums. The scope of our projects in colloboration with 3SA is wide ranging, from single page forms and documents, multi page booklets and presentations to folders and pull up banners. The on-going work requires a simple brief with 3SA, in which they provide text and image examples. 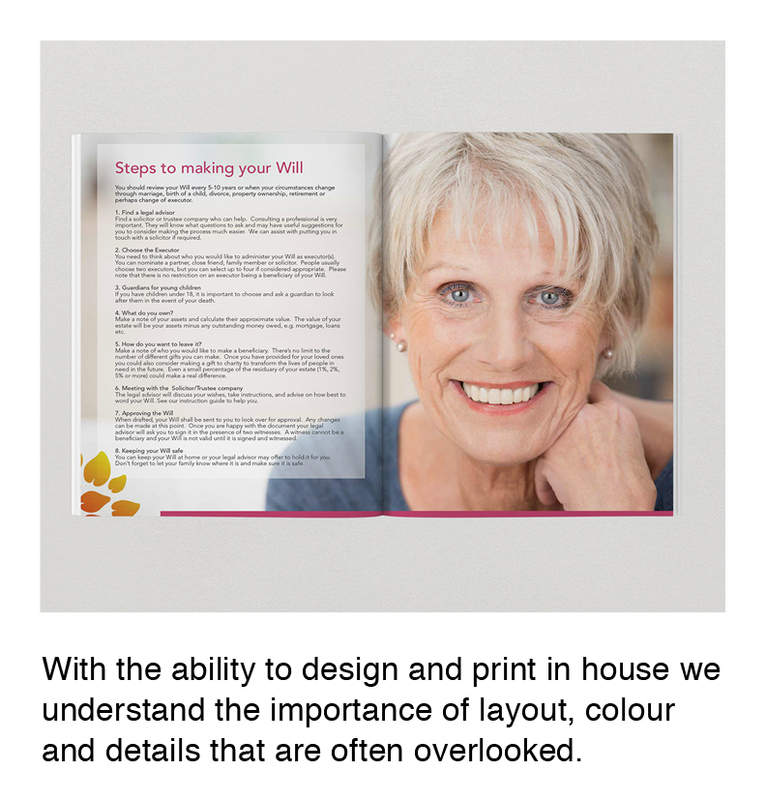 From this point we draft initial concepts and revise through to a finished design and printed product. NEED TO SHARE THE LOAD? 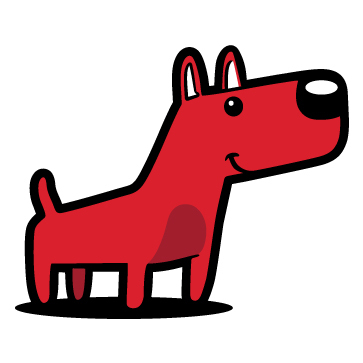 Our Clients are pretty cool, and we are super happy to collaborate with you to bring an idea to life, re-design an existing artwork or jump in and finish something off. 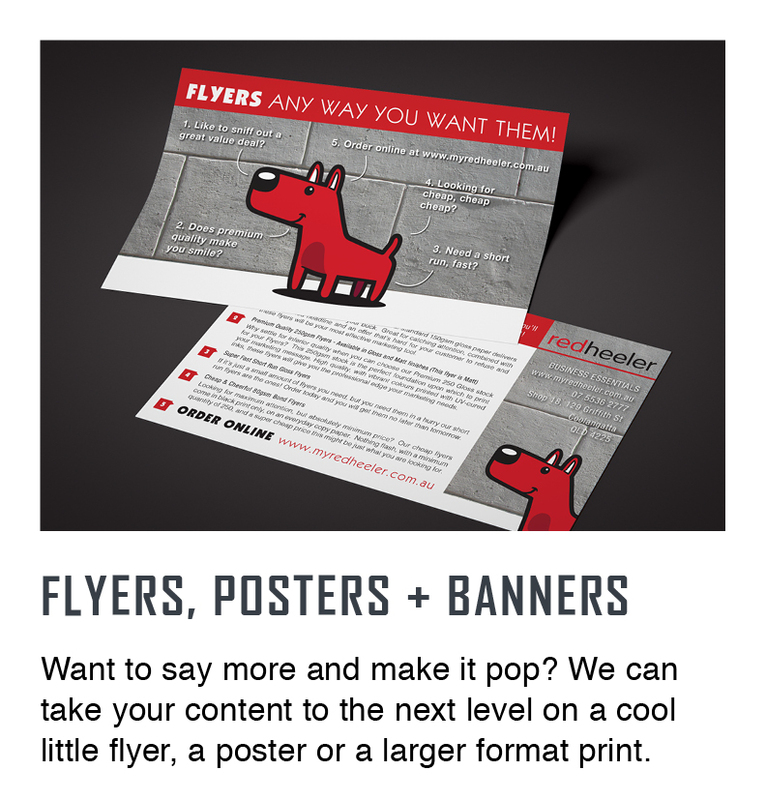 There are a few easy to use design suites out there that aren't as tech as ours, such as Canva.com. 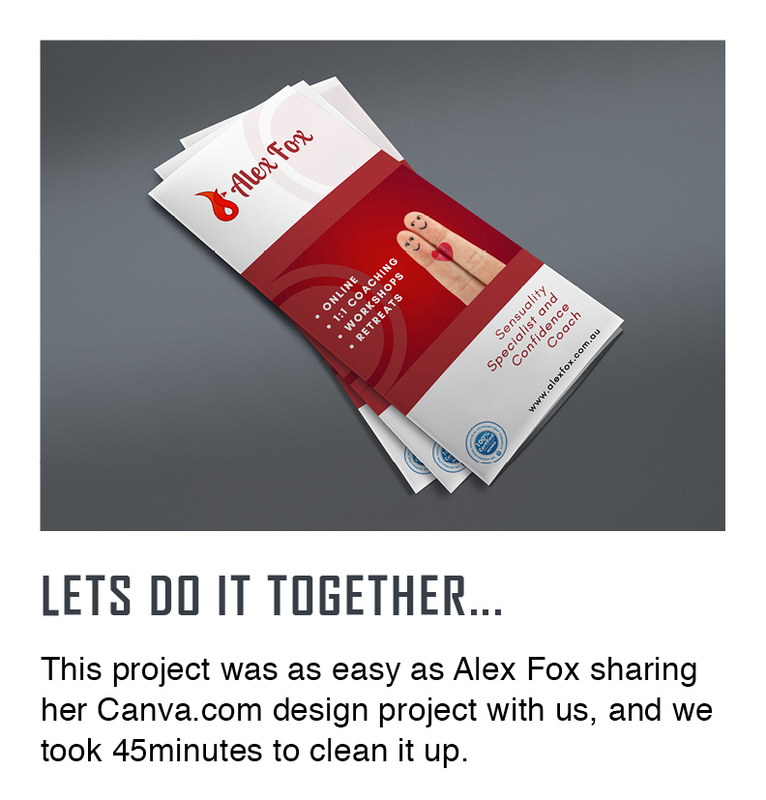 This is exactly how Alex Fox approached us - walking in one day with a project to make her Canva based brochure design 'more professional'. Alex had a strong idea, a logo, text and images placed in her Canva design and was able to login and share the design with us here in-store. It's that easy! 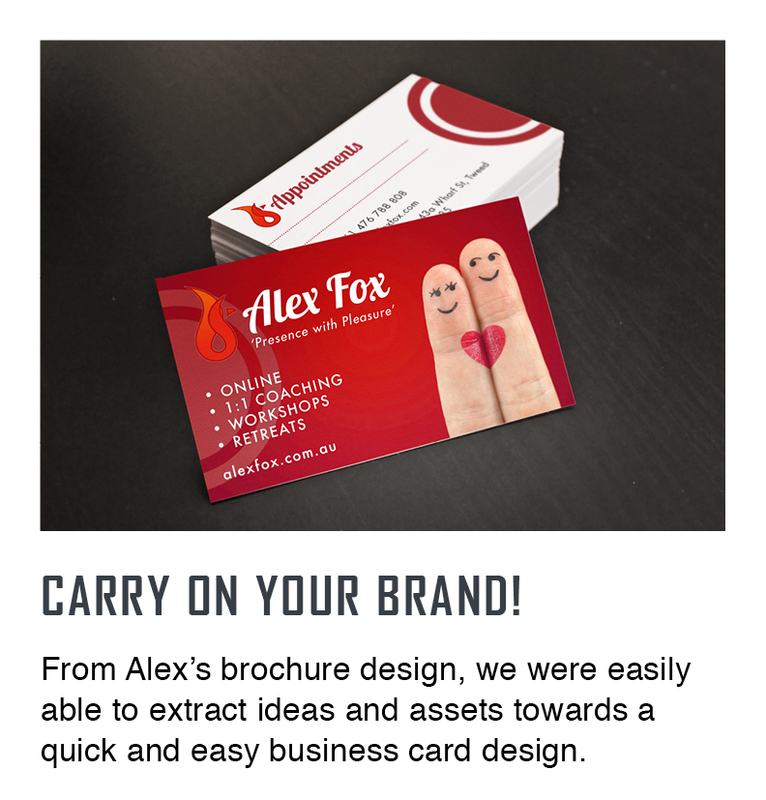 After the invitation to colloborate, we took a strong concept of Alex's to a beautiful design by tidying up images, working on layout and typography so that the brochure flowed nicely, read well and popped when it was printed.